The onion and oil are heated in a pan. Then the meat browned in it. After you pour off the excess fat, you put it back on the heat and stir in the flour, ketchup, relish, and beef stock. Let simmer for 5 minutes and set aside. I didn’t have onion, so I used generous quantities of onion salt. And I added garlic powder. Then you add the meat mixture to a pie plate and top with the potato mixture. Knowing I’d used alot of salt, I didn’t put anymore in at this point. I sprinkled it all with another 1/2 cup of cheese and baked at 375 F for 20 minutes. This month’s meat pie was another of the Blokes Who Bake called Easy Peasy Pie. This recipe called for the bottom crust to be baked at 350 F for about 10 minutes. Then I started cooking the onions in a skillet. Then threw in both meats. Once those looked done, I added the potato and crushed bullion cube. All that went in the crust, top of crust went on, and the pie was baked for 25 minutes. Then came the cheddar cheese. YUM. Covered the pie all over with cheese and baked for another 10 minutes. Very nice but next time I believe I’ll use all beef, not beef and pork. Making mashed potatoes took more time than making the pie! So I decided to make some ginger nuts too. New Zealand recipes were well represented in our house today! He told me I had to make Cornish pasties! These are exceedingly easy to make. I read as many recipes as I could from a simple Google search. (Alas, Blokes Who Bake didn’t have any recipes. Apparently Cornwall didn’t make it to the Kiwis.) But it was so simple, I created my own recipe. I chopped the potatoes and onions and mixed them with the pork. My son put in some salt and pepper. For the dough, I unrolled my trusty store bought pie crusts and cut 6 inch circles out of them. I was surprised to get 8! Spooned the filling in the circles, folded them over, sealed them, brushed with egg, cut a slit in the top, and popped them in the oven. They baked at 425 for the first 10 minutes; then 350 for the remaining 35 minutes. The recipe I used was on Epicurious.com and attributed to Jamie Oliver. The recipe was sort of vague, so I got a couple pounds of meat. Everything was combined in a pot on the stove, one at a time. (I forgot the mushrooms, much to my family’s glee.) Oh yes, I also used Guinness Extra Stout. That’s how I roll. Since this is a stew, I checked another cookbook and added oregano and Worcestershire Sauce. I also added garlic salt. Then you bake the contents in the pot in an oven at 350 for a couple hours. Boy did the house smell good! I sampled it about 90 minutes in and thought it a little bland. So I put some Lost in the Woods Hot Sauce to give it a little kick. 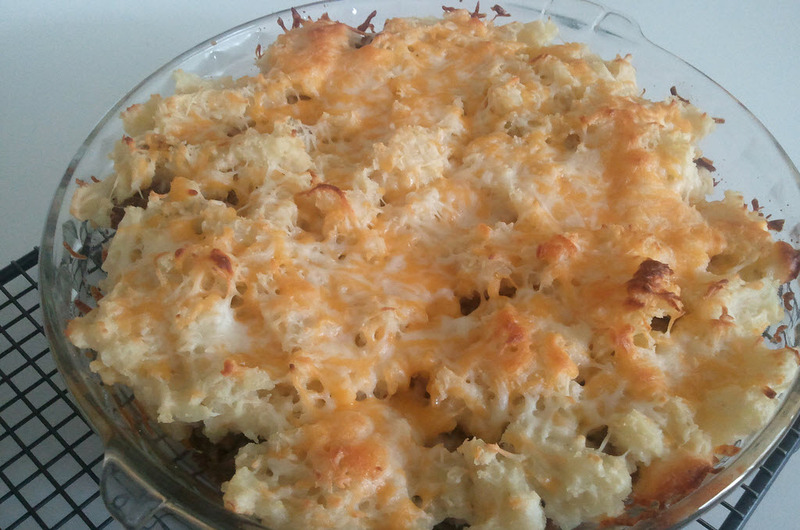 After the oven, you add a handful of cheese, pour the stew in a pie crust, and add another handful of cheese on top. Brush it with egg and bake it at 350 for 40-45 minutes.